People everywhere will love the way this 2006 Buick LaCrosse CX drives with features like a remote starter, traction control, anti-lock brakes, dual airbags, side air bag system, and airbag deactivation. It comes with a 6 Cylinder engine. We've got it for $10,995. With an unbeatable 5-star crash test rating, this 4 dr sedan puts safety first. Exhibiting a sleek gray exterior and a gray interior, this vehicle won't be on the market for long. You'll be on the road in no time with remote starter. Come see us today and see this one in person! 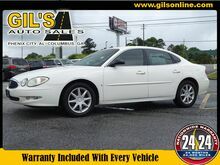 This 2006 Buick LaCrosse CXS is a great option for folks looking for top features like a remote starter, dual climate control, traction control, anti-lock brakes, dual airbags, side air bag system, and airbag deactivation. It has a 6 Cylinder engine. We've got it for $12,995. Want a 4 dr sedan you can rely on? This one has a crash test rating of 5 out of 5 stars! Drivers love the charming white exterior with a gray interior. Don't waste a moment with remote starter. Interested? Don't let it slip away! Call today for a test drive. 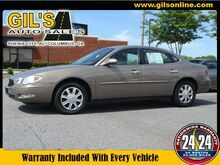 When you're ready to upgrade your ride, opt for this 2005 Buick LaCrosse CXL, which includes features such as dual climate control, dual airbags, and airbag deactivation. It has a 6 Cylinder engine. We're offering a great deal on this one at $13,995. This one's a keeper. It has a crash test safety rating of 4 out of 5 stars. Flaunting a gorgeous silver exterior and a gray interior, this car is a sight to see from the inside out. Come see us today and see this one in person!